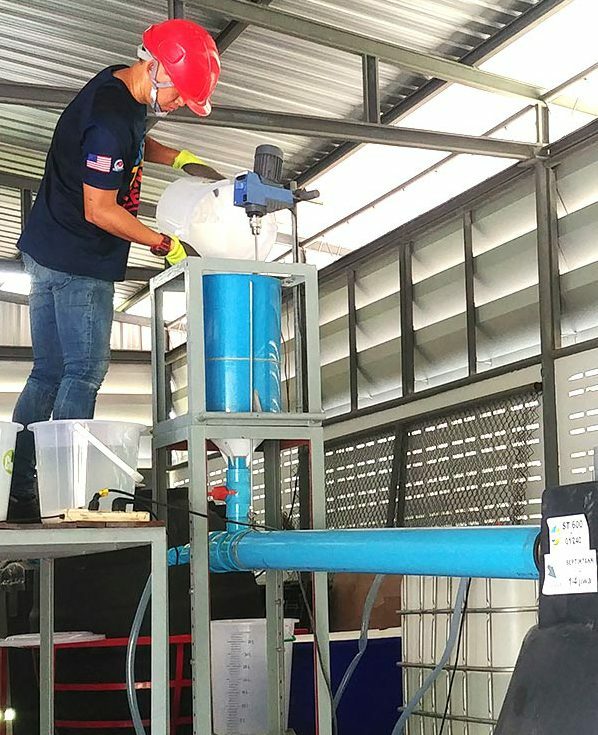 On 20 February 2019, the Asian Institute of Technology and BORDA launched the AIT centre for testing performance of prefabricated wastewater treatment products. The event took place at the Fifth Faecal Sludge Management Conference (FSM5) in Cape Town, South Africa. 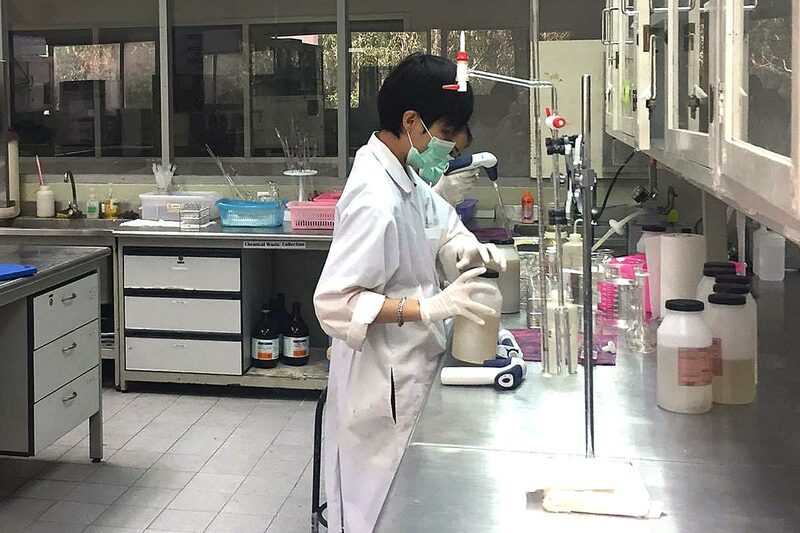 Manufacturers in Thailand and neighbouring countries have been looking forward to the launch of the testing centre, as clients from government-initiated projects and real estate developers have demanded proof of product performance released by an independent laboratory. The AIT testing centre began to offer its services late last year, with the first two products undergoing tests using a method developed by the institute. After the official launch at FSM5, more manufacturers have expressed interest in testing their products’ performance against a standard, which may fully occupy the centre before the year ends. 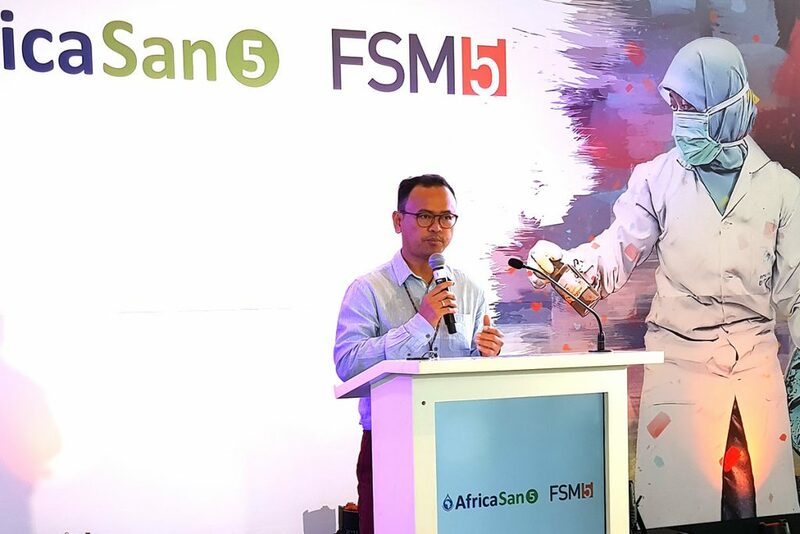 At FSM5, BORDA Project Manager Hendra Gupta shared insights into performance testing at AIT and its significance for the water and sanitation sector. 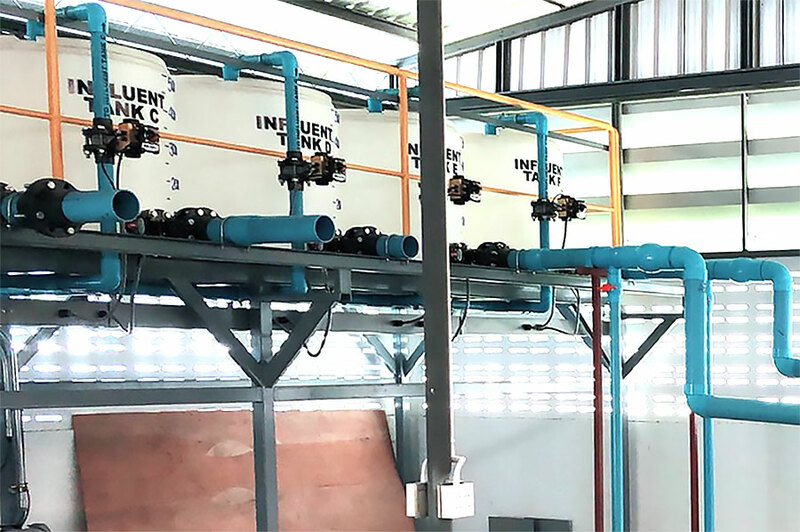 After a year of outstanding effort to set up a standard for testing performance of prefabricated residential wastewater treatments, Thailand Industrial Standard Institute is taking a step forward to ensure that only reliable products are offered to the market. Beginning this year, a voluntary standard for testing the performance of prefabricated residential wastewater treatment packages will be legally in force. The standard will be progressively implemented thanks to tremendous support from academicians and manufacturers in the preparation process. At AIT, the wastewater treatment product is tested in a controlled environment. Wastewater flow is simulated to reflect varieties of discharge within a specified period. The treatment product receives 30% of its daily treatment capacity between 6 am and 9 am. Different values are applied in the afternoon and evening. Values of organic pollutants represented by Biochemical Oxygen Demand, Total Suspended Solids and Total Kjeldahl Nitrogen are maintained at ranges representing the typical quality of domestic wastewater. In addition, the centre measures the product’s material behaviour by performing top loading tests, tensile stress and strain tests, vacuum tests, and water tightness tests. The quality of treated wastewater is measured weekly for 30 to 45 weeks of the test period. The testing centre then releases a certificate presenting the performance of the tested product. There is an urgent need for testing and certifying wastewater treatment products against a standard. For example, residential real estate developments require permits for septic tanks and other wastewater treatment systems. But the question is, which product treats better so that treated wastewater can be safely disposed of? This question can only be answered when a standard for testing performance is enforced and a testing centre is in place. This in turn enables manufacturers to offer tested and certified wastewater treatment products. The aim: mitigating catastrophic damage caused by water pollution. To learn more about testing wastewater treatment products, contact aisa.1555970120tia@a1555970120duhct1555970120iwt1555970120. © 2019 BORDA Southeast Asia. All Rights Reserved.